We already briefly discussed this trend here, but let’s dig a little deeper into the Parka for SS2017. Cause in line with the overall sporty vibe the Parka popped up at the fashion shows of Versace, Sportmax, Maxmara and Stella McCartney. It fits perfectly with the focus on functionality that fashion is experiencing lately. 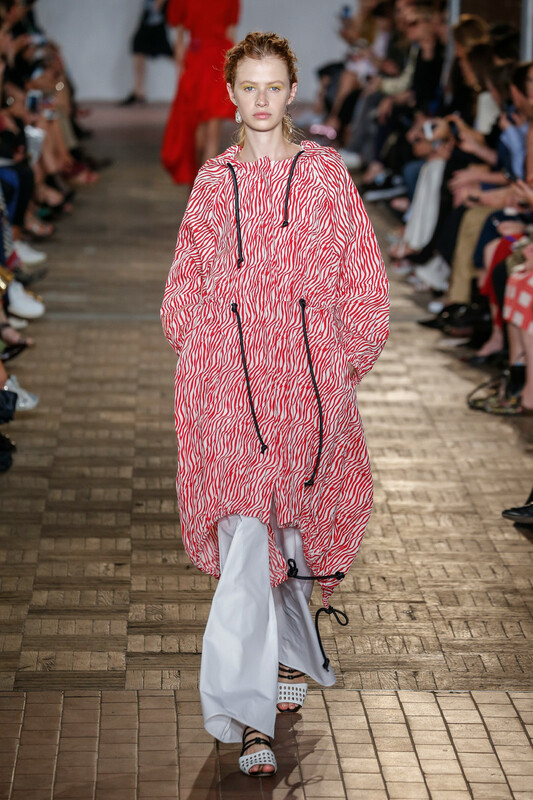 A loose, comfy all zipped up parka (as seen at Sportmax) to hide in or an unzipped lightweight tech version leaving some room for sensuality and silhouette. Whichever way you’re going to sport the parka just know there are no rules. Bright colors (see Versace color blocking eighties palette) as well as sporty elements (like straps, elastics, hoodies, zippers and buttons) are very much allowed. Power to the parka!